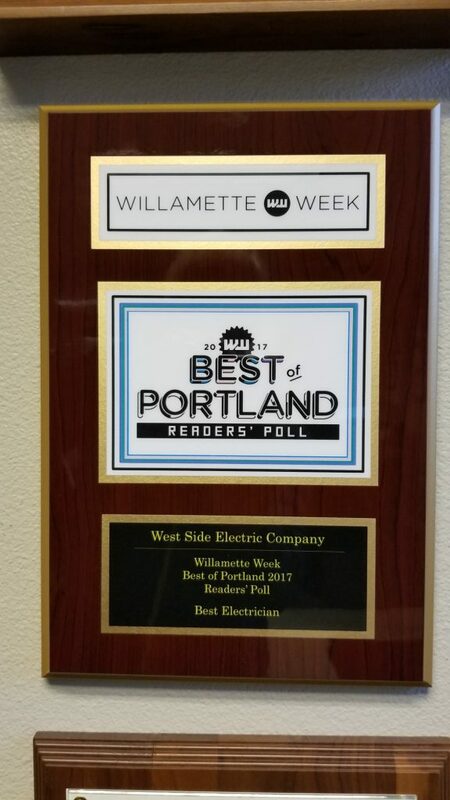 We are honored to learn that West Side Electric earned first place in the electrical contractor category in Willamette Week’s 2017 Readers’ Poll. Because this was decided by the people we serve, it is an especially rewarding achievement. When we come to work every day, our focus is on delivering an excellent customer service experience and superior electrical work. In a market with many good electrical contractors, it is reassuring to know that our efforts are being noticed. We are very proud of the recognition, and it has energized us to continue setting the bar for excellence. We don’t consider this a goal. We consider it an expectation. This has shown us where we stand in the minds of our customers, and we gladly accept the responsibility of that identity. Thank you Willamette Week and thank you Portland for honoring us with your recognition. 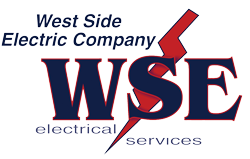 You have our promise that West Side Electric will continue to live up to the high standards you have associated us with. You deserve nothing less.